We are a flexible team with a lot of experience in the lighting industry. FOS Technologies design products for the entertainment industry. We will be at your service, so you can place your order with any way. In order to procced fast, avoid any mistakes, track your order, keep archive for your orders and your invoices, please prefer to make your order though our online B2B website www.fos-lighting.eu. You can create your personal business account here. Our team will evaluate your request and will activate your business account at 24 hours. Fos Technologies keeps the right to refuse the account activation to non-professional customers. After your activation you will have access to very sensitive information like product availability in our warehouses, whole selling prices, expected products. This information must be keeped in private and sharing it is prohibited. 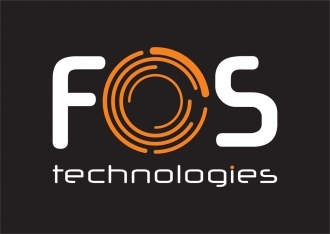 Fos Technologies reserve all their rights. All the information to www.fos-lighting.eu can change without notice. The stock availability is an indication and not binding information. Our prices not include VAT. that is mean that we receive your request and we will be proceeded immediately. When your order will be packed, you will receive a proforma invoice. Our Proformas are valid for 5 days. When your order will be shipped you will receive an invoice and all the tracking details. All our prices to www.fos-lighting.eu are not including shipping costs. The orders can be picked up from our warehouse or we can organize the transportation. FOS Technologies cooperate with the biggest freight forwarders like TNT and DHL. We can offer you the best prices and the best service. You can always track online your TNT and DHL shipments. Fos Technologies don’t have any liability for any delays or damages that have been caused by Freight companies. Always you can ask express shipment or additional insurance for your order. Our standard delivery is Economy express and the shipments are uninsured. All our products come with manufacturer full warranty (24 months). The warranty for the consumables like lamps, laser diodes, batteries and etc is 90 days. All the defected devices need to be delivered to our service department at Omikron Pro Lighting LTD.
FOS Technologies will collect the defected products and return them free of charge, 90 days from the invoice date. For the periode exceeding the 90 days, the costumer is being charged with the shipping costs. Τhe Customer has the right to return the purchased product without stating any reason within 10 days from the arrival date at the customers premises. The returned product should be send. - the device/s comes with an original and undamaged packing . - there are no additional damages or technical malfunctions besides those that are the reason for complaint. The transport costs for the returned products, are paid by the customer. but you have to pay the value of the products as deposit. When we receive back the products, we will credit you the full amount. The transport cost is paid by the customer in that case. The demo products must return 10 days after the receipt of the delivery.